Foreign Minister Sergey Lavrov has urged the Syrian opposition to suggest a viable peace plan following the Syrian President’s recent call for dialogue. “If I were in the opposition's place, I would present…counter-ideas on ways to establish dialogue," he suggested. 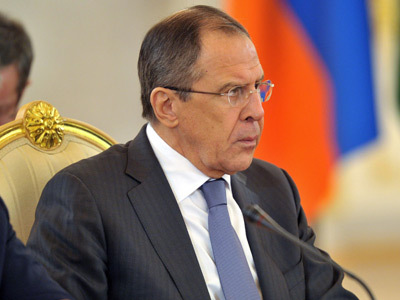 Lavrov emphasized that the opposition’s demand that President Bashar al-Assad be removed from power as a precondition for peace talks was not realistic. "This is a precondition that is not contained in the Geneva communique (agreed by world powers in June) and which is impossible to implement," Lavrov said Sunday following his talks with Ukrainian Foreign Minister Leonid Kozhara. The Geneva communiqué, as accepted by world powers in June, calls on both sides to adhere to an interim government; the document does not prevent Assad from participating in any future negotiations on the creation of a new government. 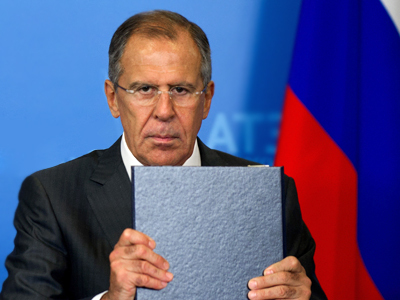 “We are hearing from opposition groups that they have decided to fight till final victory, so how can we talk about implementing the Geneva communiqué,” Lavrov asked. The minister warned that having Assad’s resignation as a precondition for peace may provoke “more and more casualties”. “Those who support such approach should be responsible for this,” he explained. The question of Assad’s political future in Syria remains a bone of contention between Russia and the Western powers concerning a possible solution to the conflict. While Moscow insists that only Syrians can decide their future including ousting Assad, either though elections or dialogue, Western powers, along with the Arab League states, insist that to solve the conflict Assad should first step down. 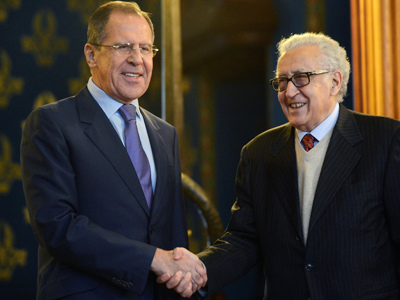 Lavrov noted that at the January 11 meeting in Geneva, which hosted Russian Deputy Foreign Minister Mikhail Bogdanov, US Deputy Secretary of State William Burns and UN/LAS special envoy Lakhdar Brahimi, the sides arrived at the consensus that the Syrian crisis threatens the entire region. "We agree that in this situation the only ones to gain are probably radicals, extremists linked with terrorist groups of the Al-Qaeda type." 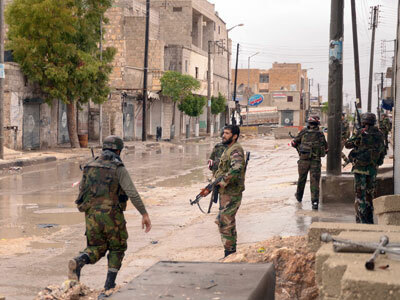 The civil war in Syria has lasted almost two years and according to UN estimates claimed lives of 60,000 people.